Over the course of the thirty three hours or so we have bounced our way across Tokyo. Today was spent much like yesterday on the fantastic cycle of shop, eat and repeat. 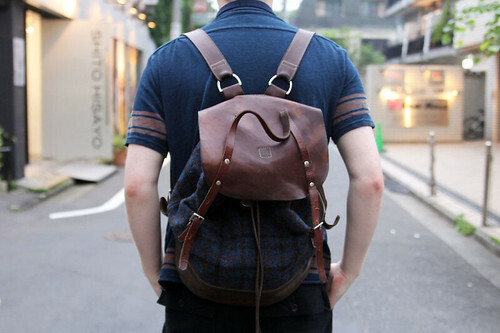 My first purchase was a short sleeved shirt from Kapital that just so happens to match my Ally Capellino backpack. The proved to be perfect strolling companions. Thirty hours is not enough for me to go around Tokyo. It is one stop for me in game arcades. Do you like e-games? There's a lot in Tokyo. Nice bag too!